High quality Rim Guard Tire Ballast from Pete’s Tire Barns. For a very long time, farmers have been using ballast to improve their tractors pulling power, balance and stability. Ballast options include both weights and using liquid ballast in tires. While their are many different types of liquid ballast most of them suffer from limitations. Rim Guard Tire ballast overcomes the limitations of conventional liquid ballast products. 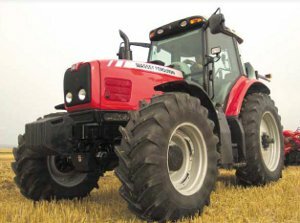 Use Rim guard in both tires with tubes or tubeless tires on tractors, loaders, skid steers and more. Contact any of our nineteen convenient tire sales and service locations today to find out how Rim Guard tire ballast can help you solve your tire ballast problems.